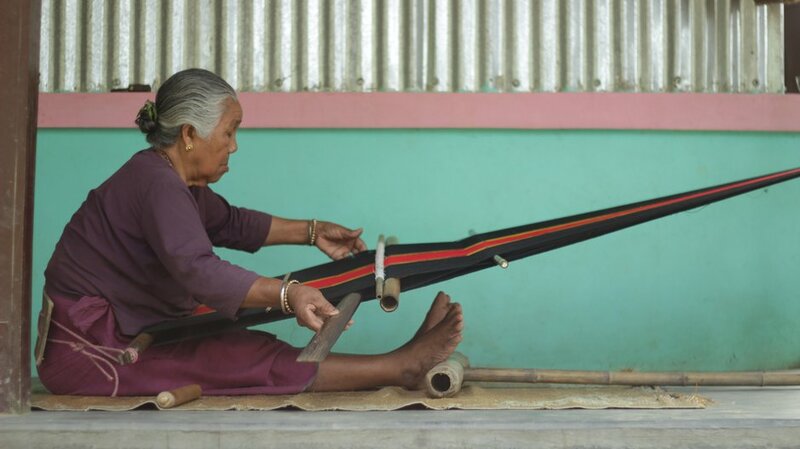 As part of the global Crafting Futures programme, in 2018 the British Council commissioned a research and mapping project addressing the role of artisanal textiles, entrepreneurship and technology in women's empowerment in India. The full report can be downloaded here. Crafting Futures India: the Empowerment of Women and Girls Through Artisanal Textiles, Digital Technology and Entrepreneurship is a study produced by Eiluned Edwards, Associate Professor in Global Cultures of Textiles and Dress, Nottingham Trent University (NTU), School of Art and Design, UK. The aim of this preliminary study is to assist the British Council in the development of a new programme that will support the empowerment of women and girls through the production of handmade textiles, digital technology and entrepreneurship in India. It has been developed by Eiluned Edwards, NTU (UK lead) in partnership with the Craft Revival Trust in New Delhi (Chair: Ritu Sethi). To provide a contextual overview of the production of artisanal textiles in India in specific relation to women and girls. To identify factors mitigating against women and girls’ involvement in artisanal textiles. To engender a greater understanding of the current skills gaps and labour shortages affecting production of handmade textiles. To assess the role of technologies, specifically mobile and digital technology in the work of key players.